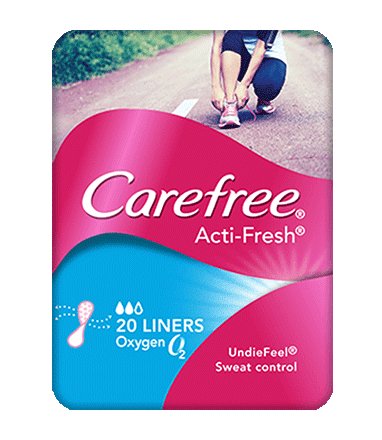 CAREFREE® Acti-Fresh® Oxygen Liners are a great way to stay clean, dry and fresh on the days between your periods. Two-way airflow makes them 2 x more breathable*, and a unique absorbent core keeps moisture and odour away from the body. Plus, they have natural UNDIEFEEL® technology meaning they feel just like your undies.